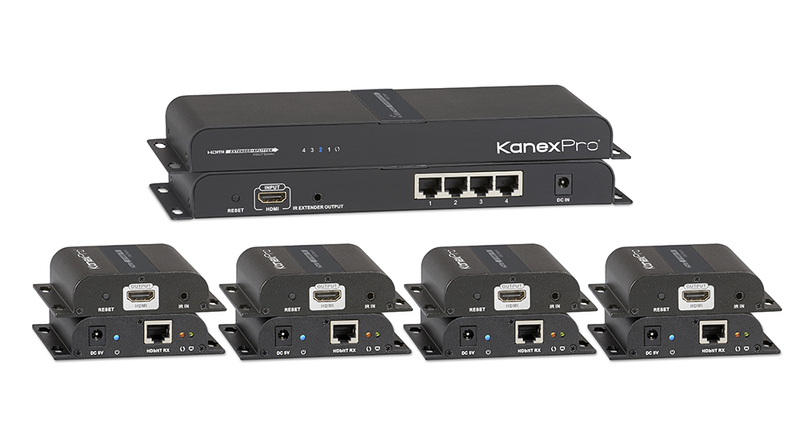 The KanexPro SP-HDCAT1X4 is a one transmitter and four receiver amplifier set that enables high resolution 1080p HDMI signals to be routed over distances up to 394ft. (120m) significantly beyond the capability of standard HDMI connectivity. 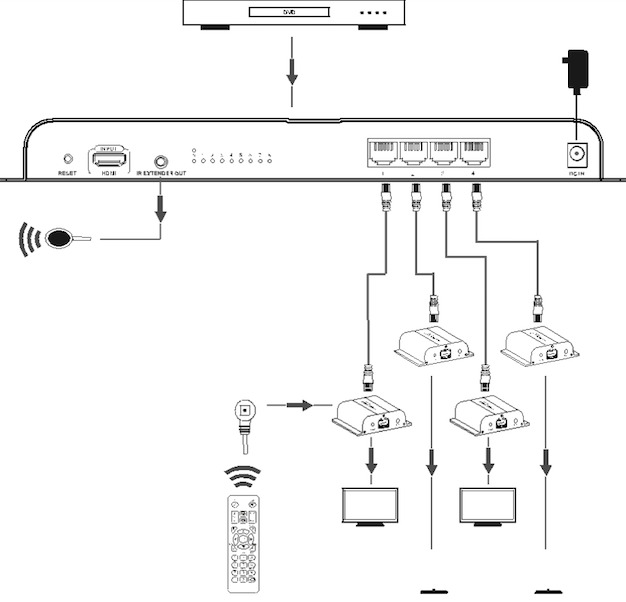 When connected together using four economical and installer friendly CAT5e/6 cables, the transmitter inputs the HDMI signal into four identical outputs carrying 394 ft./1080p resolution simultaneously from the provided receivers. For control options the 1x4 splitter comes with IR receivers for each of the four receivers and provides IR pass-back function to control the HDMI source device remotely from the displays. This HDMI amplifier offers an ideal, cost effective means for extending digital video, multichannel audio, and control signals using IR from HDMI equipped devices. Each receiver works with the splitter as a full functional unit enabling full 1920 x 1080p/60 resolution. Perfect for house of worship centers, retail stores and residential /smart home theater applications where one HDMI device can be distributed to four displays over a single network cable up to 394 ft. without losing signal integrity.